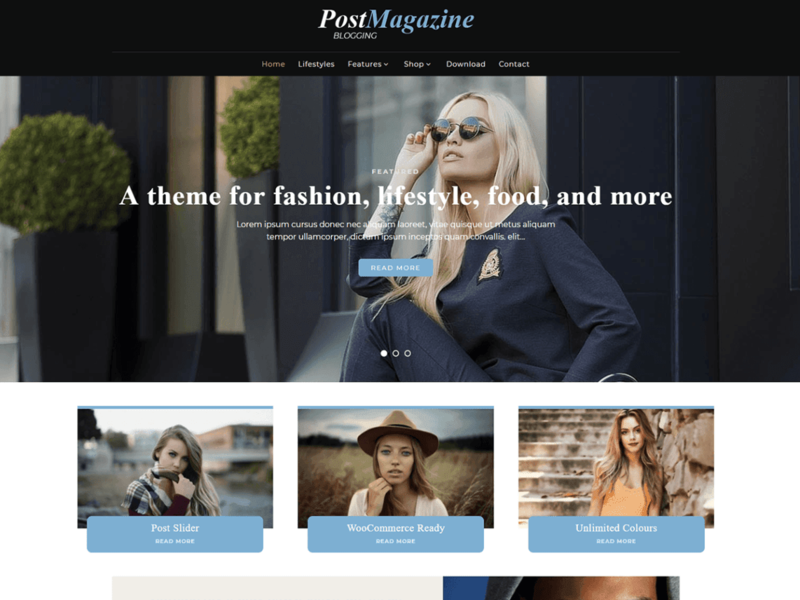 PostMagazine is a beautifully designed blog magazine theme that is perfect for creating a lifestyle, health, food, and fashion based sites. Packed with features from being WooCommerce ready, unlimited colours, having 5 blog styled layouts, a featured post slider, 21 widget positions, and a whole lot more. Be sure to read more About PostMagazine under the Appearance admin menu.